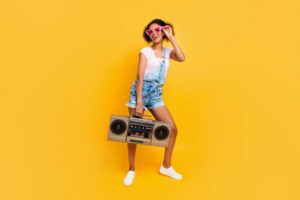 Buying an individual CD player, MP3 player, stereo, radio, tape recorder, and boombox can be impractical and even an expensive investment. Why buy all those devices when you can easily have all of them in just one appliance? Impossible and unbelievable? Not quite when it comes to the boombox. Be practical and cost-effective by going for a trusty boombox such as the Panasonic RX-D55GC-K Boombox. 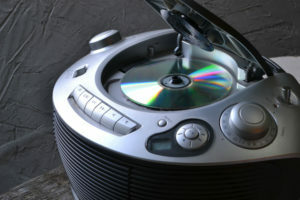 In any sound or music appliance, the audio output is the first thing to be judged to determine the appliance’s quality. When it comes to the Panasonic RX-D55GC-K Boombox, the audio output is not an issue. 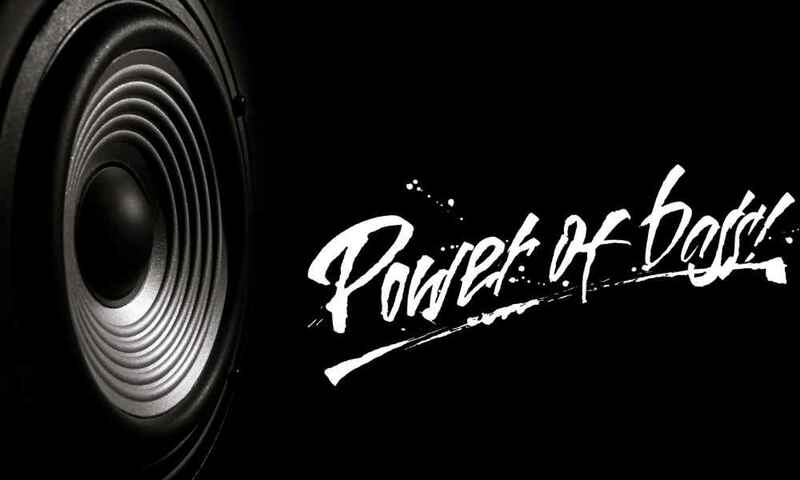 The Panasonic RX-D55GC-K has high power and high-quality sound output courtesy of the 2-way four speakers and the huge speaker box that creates 280 W (P.M.P.O.). Furthermore, the Panasonic RX-D55GC-K was designed to be compatible and usable anywhere in the world; hence, it has dual voltage to fit any and all electric outlets. 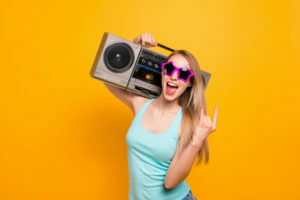 More particularly, the boombox has both an AC for 110 V and 240 V.
The Panasonic RX-D55GC-K Boombox also plays diverse audio formats such as CD-R/RW and MP3s in its CD player. On top of that, the product also has an FM/AM radio reception with frequency range falling within the 50 kHz step, 9 kHz step and 10 kHz step. And when you need to record something, the tape recorder function of the appliance does the work for you. These functions, all found in one device, are an advantage for two reasons. 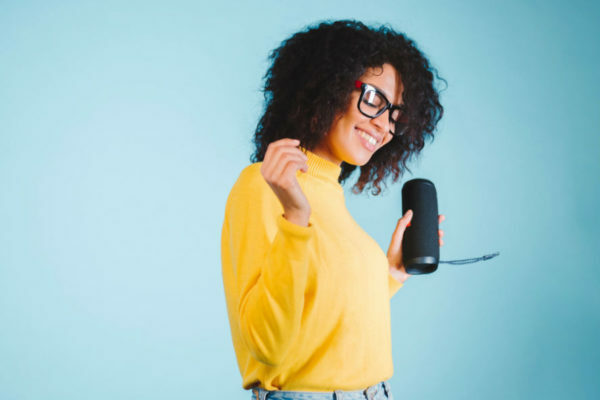 First, you do not have to carry around many things when you need appliances to record, to play and to amplify the audio. That way, you can avoid hassle and impracticality. Second, you can save money. Imagine the dollars you are able to save because you only need to buy one device instead of four. Purchasing your own Panasonic RX-D55GC-K is like your own version of hitting two birds with one stone. To add, the Panasonic RX-D55GC-K Boombox’s front panel has a music USB port so you can use the Boombox for digital audio player playback. 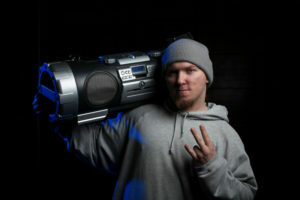 This allows other music devices to connect with the Boombox with a USB cable for convenience. As for the design of the Panasonic RX-D55GC-K, the player uses a feather-touch cassette deck mechanism. Also, for full control of the tuner, tape and CD player, the Boombox comes with a remote control. This is a nice addition to the Boombox for one need not control the appliance manually. Even from afar or when you are too busy to come near the Boombox, you can easily manipulate the entire machine with the remote control. This makes life easier and convenient. 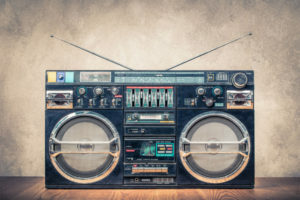 The Panasonic RX-D55GC-K Boombox is not all benefits – it also has some issues that could be considered as drawbacks for others in buying the appliance. First among those issues is the seemingly expensive price. It should be noted that the product comes at a price higher than usual ones, reaching just above the bracket line of $150. 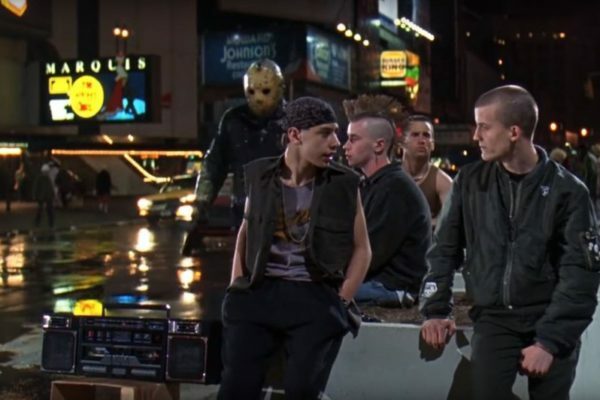 For some, this can be a major turn off because they could simply not afford to buy such an expensive boombox. 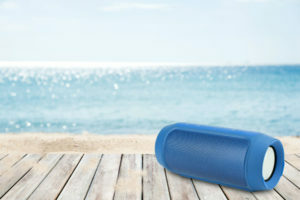 However, when we think of the quality and the performance of this particular product, as well as its durability, it seems that $150 is a small price to pay for a quality product. Also, there is an incompatibility issue between this product and iPhones. Overall there’s not much negative feedback from verified purchasers, although some customers reported issues with the CD unit, varying from problems with the opening/closing mechanism to not being able to recognize the disc. 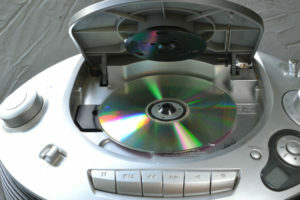 To be fair, this could possibly be a faulty (scratched) CD or low-quality CD-R/RW. The Panasonic RX-D55GC-K Boombox may be a little expensive, but it is a small price you have to pay for having a quality and high performing appliance. It is a product that you can recommend and not be disappointed with. Furthermore, the negative feedback raised regarding the product can be considered as minor that cannot and would not eclipse the overall benefits you get out of buying the product. 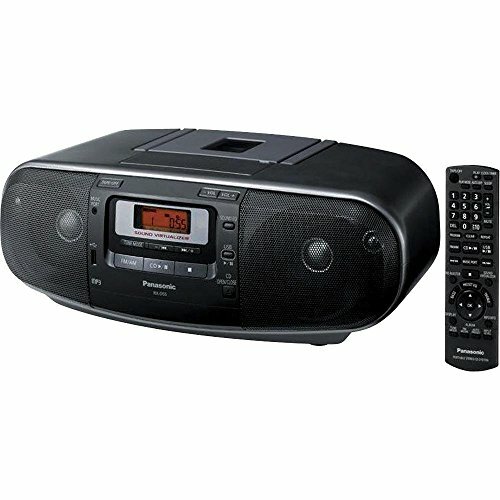 Does the Panasonic RX-D55GC-K Boombox have the SLEEP FUNCTION to turn it off after 15, 30, 45 min ? Hi Albert, thanks for reaching out! The RX-D55GC-K has a timer which can be activated using the remote. However, the minimum setting is 30 minutes. Hope this helps. Best Wishes!